Vesak Celebration, originally uploaded by anthonli. I know I’ve not posted for a week. It boils down to general laziness. But after a good weekend’s sleep (literally slept through the whole weekend), I’m up refreshed and committed to continue blogging. This is fresh, hot off my camera today! Tomorrow is Vesak Day and although it is not an official holiday here in Vietnam, there are many devout buddhists who today make a pilgrimage to the many pagodas around the city. 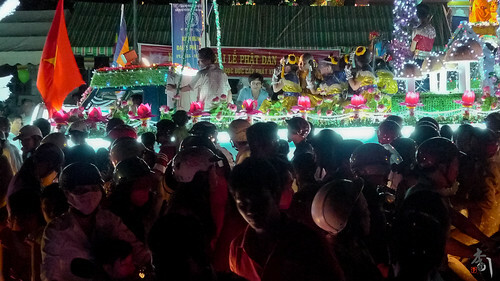 Also many trucks are decorated as floats, driving round the city to garner people to go to the temples and pagodas. Here is one of the floats with performers on board. Look at the crowd of people on motocycles between me and the float! Vietnam – Saigon Hoi Hoa Xuan, originally uploaded by anthonli. At the Flower Festival in Saigon, there is an enclosure erected for butterfly displays. It is the saddest display I see at the festival. 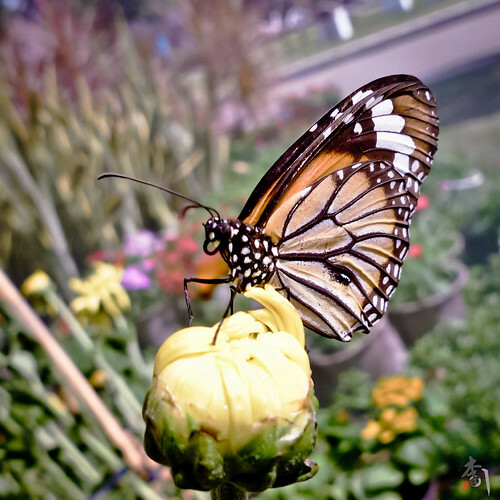 All the butterflies were dehydrated and most were mutilated, with missing legs and broken wings. In the middle of the day, one staff actually went in to pick up all the dead moths and butterflies and jot in his catalog. Probably so that they can replace it later in the day. So much so that I did not feel like taking a picture inside that enclosure. Instead, I spend my time chasing the bees and butterflies flitting around out in the open. Like this critter here, taking a rest on a flower bud. Vietnam – Saigon Hop Hoa Xuan, originally uploaded by anthonli. During the Tet festival, parks around Vietnam transformed into flower gardens as municipal governments bring in flowers to decorate them. This is a symbol of greeting the spring flowers. This was a lucky shot that I managed. 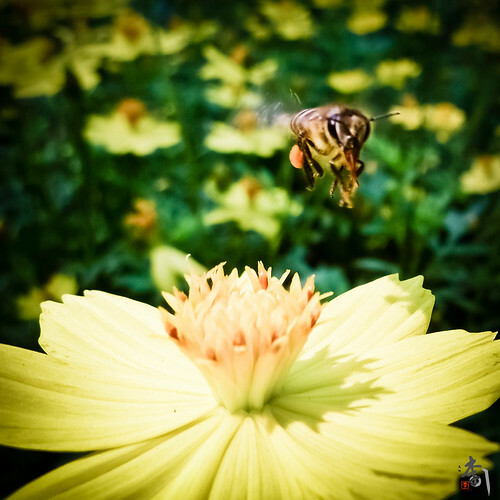 I was trailing this bee with my Lumix LX3, when I caught it flying towards the camera after picking nectar from the flower. I’m extremely pleased and proud of this shot. It is decently sharp, the bee and flower was positioned nicely and the background is nicely filled with other flowers. In case you’re wondering? I wasn’t stung, now was the bee hurt. Sentosa Resort World, originally uploaded by anthonli. 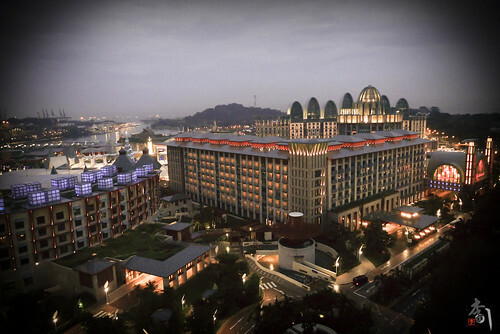 This is one of the 2 Integrated Resorts (read casino) recently built in Singapore. I guess, I’ll just have to visit it in one of my trips back home. HarbourFront and Vivocity from Cable Car, originally uploaded by anthonli. This picture is captivating. 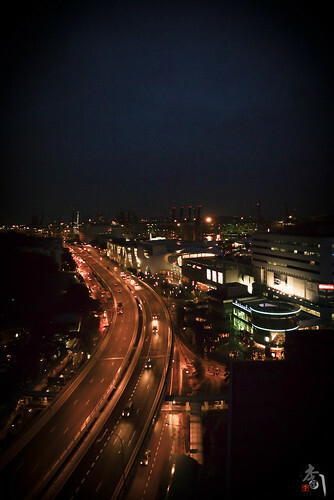 I took it while going to a company dinner when I was back for a conference. Just before dinner, we took our foreign counterparts on a cable car ride and while pointing the various attractions to my colleagues in the cabin, I was also busy snapping pictures of the surroundings. It was unfortunately getting dark, but my LX3 was well up to the task of taking great shots even in the failing light. The bright side, pun intended, was the lighting up of the road and buildings which gives a very surreal feel to the scene.